California’s workplace fatality rate remains stable with slight fluctuations over the past eight years. On the national level, the rate of fatalities decreased from 3.6 to 3.5 per 100,000 workers. More than one in five (22%) of all California workplace deaths identified in 2017 were attributed to trips, slips and falls; with 88% of those deaths involving falls to a lower level. Assaults and violent acts in the workplace accounted for one of every five (20%) of all workplace deaths in the state in 2017. Nearly two of every five (37%) California workplace deaths identified in 2017 occurred in transportation-related incidents. Tables reflecting final data for 2017 (and prior years’ final data) for California are posted online, as well as a report reflecting five years’ of fatal occupational injuries in California. For further detail on CFOI methods and calculations see Part III: Census of Fatal Occupational Injuries. DIR conducts the California Census annually in conjunction with the U.S. Bureau of Labor Statistics. CFOI produces comprehensive, accurate and timely counts of fatal work injuries. This federal-state cooperative program was implemented in all 50 states and the District of Columbia in 1992. For more information on Injury and Illness Prevention Programs in California, CalChamber members can visit the HR Library’s Injury and Illness Prevention Program page. Not a member? 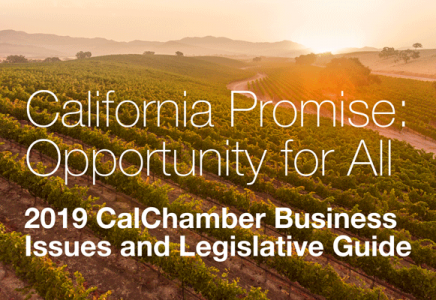 Learn more about how CalChamber can help you.